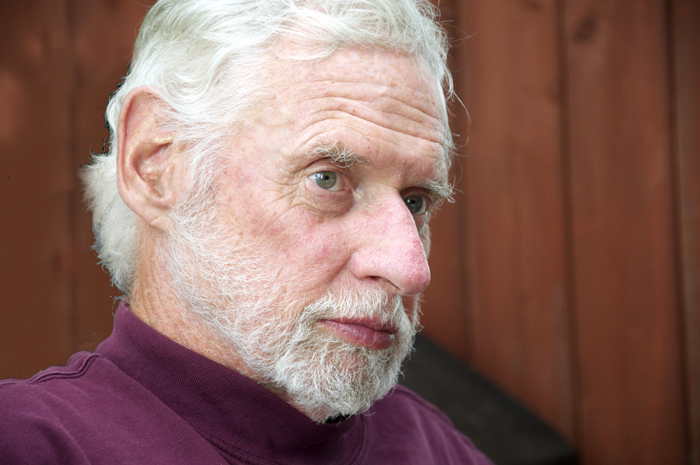 Dr. John Millar has been instrumental in developing PHABC’s new position on Poverty and Inequity. PHABC’s Board of Directors has approved a new position on Poverty and Inequity. PHABC’s Vice President Dr. John Millar who was instrumental in conducting the research and writing the position statement in conjunction with the PHABC Policy Advocacy and Research Committee said “this statement expands on the previous work of PHABC in advocating policies to reduce health inequities.” PHABC will be using this position to encourage policies that support health equity and build healthy sustainable communities throughout BC. A meeting with the BC Minister of Health will be scheduled in the near future to discuss this new position and other PHABC initiatives. Debates on public health issues are a staple of life. Unfortunately, they often involve a false dichotomy. Those promoting individual choice argue that public health advocates are “no fun” trying to create a “nanny state” by banning all those tasty treats and indulgences like cheap happy hours and supersized pop. On the other hand, those seeking regulation may too readily use scare tactics in support of their arguments. I’ve been known to demonstrate this tendency myself. For example I may have been a bit over the top in arguing that those in favour of the new alcohol regulations in BC think that there’s nothing wrong “with a couple cheap double rum and supersized cokes after work to set you up for the drive home from work”. Who needs evidence when you can undermine your opponent with an “insightful” analysis like that? When we get beyond the rhetoric though, these debates are critical as they force us to bring evidence to bear on an issue and help to educate the public about the need for important public health measures. A good example at the moment is the current debate on electronic cigarettes and whether they are actually a good thing because they may help some people reduce their addiction to tobacco. It is actually a critical issue and is becoming a well informed debate with better evidence and clearer arguments on both sides. What we sometimes forget, however, is the importance of stopping long enough to recognize our past accomplishments and highlighting these. By demonstrating the value of population health interventions we can better help people understand the need for public health policies. This is especially important when pejorative statements like “nanny state” or “government paternalism” are used to counter public health evidence. The image of public health is an important commodity in winning the public over to effective interventions. In the electronic cigarette debate, actions to restrict electronic cigarettes may move quickly because of the credibility of public health that comes from the tobacco story we tell. The Canadian Public Health Association’s campaign on the greatest public health accomplishments is a good example of building trust in public health. A recently released report by the Fraser Institute on obesity in Canada has been slammed by many in the public health community. The importance of celebrating our successes and using these in shaping a case for public health interventions was brought home to me by the recent Fraser Institute report on obesity in Canada. They analyzed a very selective data set on weights to suggest that there is no need for public health interventions that they describe as “government paternalism” – yes they invoke that language to shore up their case – to deal with what they argue is not an epidemic of obesity. (It is worth noting that in the report they also characterize Canadian anti-smoking efforts as an “increasingly draconian war on the tobacco industry”.) 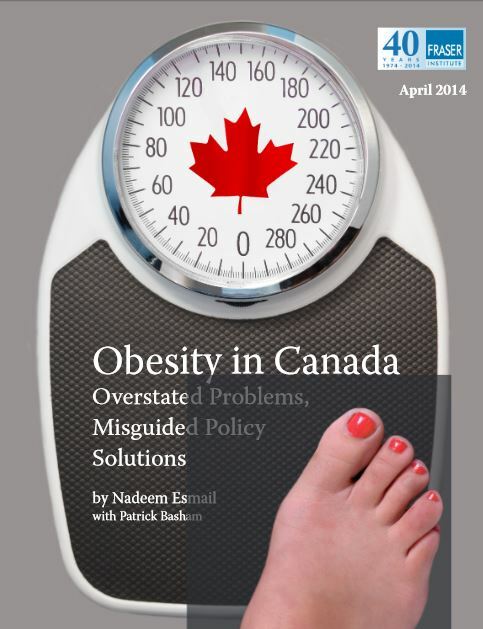 There are many available critiques of the Fraser Institute report discrediting many of the arguments they put forward but an important one was by the Canadian Public Health Association and the Dieticians of Canada. Notable in this response is the comment on the success in combating obesity and the need to do even more. It would be easy to rant about the Fraser Institute report being biased. It is important to critique their arguments and evidence to show where it is wrong. But as importantly, we must reinforce the successes of population health approaches to build confidence and trust in the voice of public health. Rhetoric is loud and can hide the evidence the public needs to consider. Public health builds a credible voice by speaking out on its successes and demonstrating its value. It is this credibility that helps the public take the time to examine the evidence and draw sound conclusions. Sometimes it is important to brag a little. 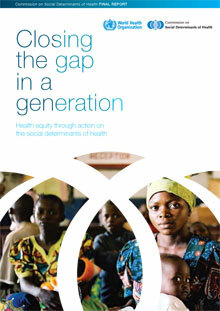 The discourse on health equity and social determinants of health received international attention when the World Health Organizations’ (WHO) released the final report by its Commission on Social Determinants of Health in 2008 with the bold warning in its opening remarks that “Social injustice kills people on a grand scale.” (WHO Commission on Social Determinants of Health Final Report, Executive Summary). The Report called on various governments, civil society organizations and other health equity advocates to take action on those recommendations and lead others in that direction. Unfortunately, the international attention around health inequity seems to have subsided and the progress, if any, on reducing global health inequities is yet to be seen. And that is no wonder. Recommendations that are not enforceable are just recommendations. In recognition of this lack of commitment on the part of governments around the world for taking measurable action on reducing social and health inequities, a number of scholars led by Lawrence Gostin at the Georgetown University have initiated an international campaign asking WHO to adopt a Framework Convention on Global Health (FCGH) in hopes to prepare the ground for a Global Treaty on Health Equity. As ambitious as it is, the campaign recognizes the fact that without a global commitment by signing up to an international treaty, effective action on reducing social and inequities will not be forthcoming. The Campaign is seizing the opportunity of the upcoming planning for the post-2015 Millennium Development Goals by the United Nations and tries to encourage the WHO to adopt the Framework Convention. Gostin and colleagues explain “Guided by principles underlying the right to health and mutual responsibility, a framework convention would universally ensure three conditions that are essential for a healthy life: a well-functioning health system providing quality health care; a full range of public health services, such as nutritious food, clean water, and a healthy environment; and broader economic and social conditions conducive to good health, such as employment, housing, income support and gender equality. (Gostin et al, Perspectives, Bulletin of WHO, 2013, p. 790). The Campaign recognizes the tremendous challenges posed by the private interests and major governments in the way of ratifying such a treaty and later compliance with its terms if adopted. As such it appeals to the social movements, civil society and rights advocates to pressure their governments in the direction of committing to an internationally binding treaty. The campaign for FCGH is supported by the Joint Action and Learning Initiative on Global Responsibilities for Health (JALI) – a global network of civil society and academics – which is inviting interested individuals and organizations to sign up their Manifesto available at http://www.jalihealth.org/documents/manifesto.pdf. This global campaign coincides very well with the mission and strategic priorities of the PHABC and is worth supporting by our members and friends. The health care establishment occasionally shows glimmers of awareness that the greatest contributors to health are social determinants. 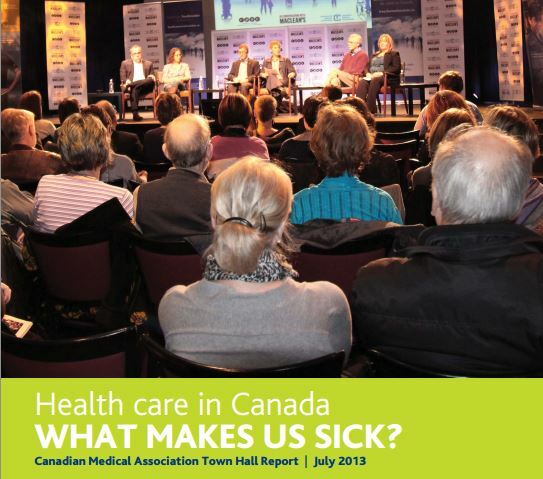 We even see the Canadian Medical Association speaking out about poverty in its report What Makes Us Sick. But we still have a long way to go in debunking the notion that health is all about personal choices and genes. A good example is the comment made by Nova Scotia’s Health Minister who apparently even suggested that people should demonstrate healthy lifestyles before they can access health care. Fortunately these types of uninformed statements are being challenged as was done in this case by a leading anti-poverty physician Dr. Ryan Meili. It is discouraging that a Health Minister can be so uninformed but it seems all too common that ideology trumps science in the discourse on health. Nonetheless, the message about the importance of addressing social determinants like poverty is slowly taking hold in the medical community. But it requires challenging those uninformed statements every time we hear them as was done by Dr. Meili. Public health understands this issue and it is ever more important for each of us to challenge statements that will take us down the wrong path to improving the health of the population and reducing health inequities. We can’t be shy about the importance of creating a more equitable society as the path to better health. Dr. Ryan Meili is the National Director of Upstream. The organization works with the growing body of evidence on these social determinants of health and uses that knowledge to guide recommendations for change. A couple of weeks ago I was in Manchester for the International Conference on Urban Health, and spent a couple of hours at the People’s History Museum. Manchester is such an interesting city, because it was the first industrial city, and it has a powerful history of social and political reform. Perhaps most dramatically Marx and Engels worked there together (Engels’ description of conditions in Manchester is hair-raising), much of the Communist Manifesto was written there, and there are many other examples of social and political reform. The fight for democracy came out of these workplaces, streets, and cities, and in many ways it was a fight motivated by concerns for the health and wellbeing of the population. 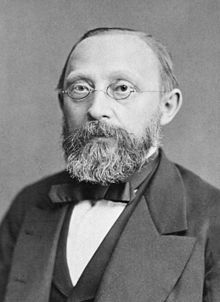 Remember, it was an investigation into the causes of typhus in Upper Silesia that led Rudolf Virchow to his famous 1848 statement that “medicine is a social science, and politics but medicine writ large”. He said this in response to Prussian politicians (to whom he had reported) telling him his report was a political report, not a medical report, because he recommended that what was needed was the “introduction of Polish as an official language, democratic self-government, separation of church and state, and the creation of grassroots agricultural cooperatives”. Why does this come to mind now? Because I believe what we are seeing in the state of democracy around the world, and especially here in Canada, is a vitally important political and ethical issue with profound implications for public health. We have already seen that the Harper Government has almost always acted in opposition to the evidence and the interests of public health (climate change, asbestos mining, gun control and safe injection sites, to name but 4 issues – see my July 24th 2013 blog). We have seen that they have muzzled their own scientists, destroyed their libraries, laid many of them off, cut the funding to environmental groups and gone after them using the Canada Revenue Agency and other means, all in an effort to silence those who oppose their blindly pro-business, anti-environment and anti-public health agenda. (we) are concerned that Canada’s international reputation as one of the world’s guardians of democracy and human rights is threatened by passage of the proposed Fair Elections Act. We believe that this Act would prove [to] be deeply damaging for electoral integrity within Canada, as well as providing an example which, if emulated elsewhere, may potentially harm international standards of electoral rights around the world. In particular, the governing party in Canada has proposed a set of wide-ranging changes, which if enacted, would, we believe, undermine the integrity of the Canadian electoral process, diminish the effectiveness of Elections Canada, reduce voting rights, expand the role of money in politics, and foster partisan bias in election administration. The Globe and Mail itself, in an unprecedented series of five editorials, has denounced the Bill and the process (see http://www.theglobeandmail.com/news/politics/scholars-denounce-conservative-governments-proposed-fair-elections-act/article17561354/ for links to these editorials). The Harper government’s attacks on public health and the environment will only be strengthened by the rigging of elections to give them an unfair advantage and a continuing mandate. We must all oppose this undemocratic Bill on grounds of democracy, social justice, environmental sustainability and public health, all of which are threatened by this government and its dangerously undemocratic tendencies. Dr Trevor Hancock is a Professor and Senior Scholar, School of Public Health and Social Policy at the University of Victoria. As a public health professional, I normally argue that mixed neighbourhoods where low income people live side by side with higher income people is a good thing. There is evidence to support this such as the findings published by the late Dr. Clyde Hertzman of UBC. He points out that “segregated neighbourhoods are at the highest risk – mixed neighbourhoods lead to lower levels of developmental vulnerability than economically segregated poor neighbourhoods”. The importance of the built environment has led to a great deal of research on the neighbourhood effects on health. A new study in the Journal of the American Medical Association provides some interesting insights. This rigorous longitudinal study showed that there were positive effects for girls (protective factors) and negative or harmful effects for boys when low income families reside in higher income neighbourhoods. This particular study concentrated on measures of mental health. Also, these were actually families given a housing incentive to move into higher income neighbourhoods. It should be noted there are numerous limitations to this U.S. based study and the literature on neighbourhood effects is very robust so this is just one more study that will contribute to our understanding of neighbourhood effects on health and the value of mixed neighbourhoods. I have the pleasure of being on the Advisory Board of the CIHR Institute of Population and Public Health with a researcher in this field so I look forward to some “robust” discussion with him on these findings. What is perhaps most encouraging about this study for me was the approach used to understanding the pathway to the impact. The research explored the results with the adolescents themselves to understand that the differing perceptions of the community towards poor boys (delinquents) versus poor girls (needing help) may have contributed to the effect. The complexity of any environment is such that we have to be cautious about drawing simple solutions and that there is seldom any one magic bullet that will eliminate the health inequities we see between low income and high income communities. That is why when we look at poverty reduction, public health emphasizes the need for a “comprehensive” approach and not little bits and pieces of policy interventions that may have minor or even unintended negative consequences. We need to start with a goal such as positive early childhood experiences and build a policy environment around that goal. In the area of poverty reduction, public health should advocate for an approach that brings together a comprehensive plan and one that engages people with lived experience to help shape the initiatives. This is surely not asking for too much and is the route the evidence points us towards. ACORN Canada is a civil society organization dedicated to eliminating poverty and promoting social and economic justice. The group currently has a project underway to advocate for stronger building maintenance bylaws for people living in rental accommodation in BC so that landlords are required to ensure the basic rights of tenants to a healthy and safe environment. PHABC is assisting ACORN to collect information about the maintenance issues experienced by groups of tenants in Burnaby, New Westminster and Surrey and about the impact of living conditions on the residents. Sadly, the conditions reported on some of the rental accommodation is appalling and the response of some landlords appears to be not just inadequate but punitive to those who complain. Mould, infestations, structural issues and even a lack of heat are just a few of the problems experienced by tenants. And one common problem identified is the uselessness of trying to take concerns to the Residential Tenancy Branch for help. This latter problem has been recently analyzed in a report by the Community Legal Assistance Society entitled On Shaky Ground that demonstrates why so many tenants I talked to expressed a terrible sense of powerless and almost hopelessness due to the conditions of their homes and their inability to get support to resolve issues. The dominant ethic of “smaller government” can lead to a situation where governments seem to be unable or unwilling to actively fulfil their role to protect the health and safety of citizens. Hopefully the work of ACORN will shed more light on this problem. Housing is not only a fundamental right but also a powerful determinant of health. And let us remember that one of the drivers of health is the chronic stress associated with a sense of powerlessness and hopelessness – a condition that seems more common than we may think for those living in market rental housing. When PHABC finalizes its work with ACORN, it may be a time for a discussion about the role of public health in working to ensure basic environmental conditions affecting health in residential settings. Barack Obama, Pope Francis, the International Monetary Fund (IMF) and organizations like Oxfam and the World Health Organization are all saying it: Inequality is the greatest concern of our time. So what’s it going to take for our governments to act? A recent Oxfam report says the world’s 84 richest individuals have as much wealth as the half the world’s population, the 3.5 billion poor. The IMF is concerned about world stability, pointing out that inequality within countries, “fuels resentment, protest and instability,” as evidenced by riots in Brazil and Turkey, countries that have experience significant economic growth of late. President Barack Obama focused on inequality in his State of the Union message, saying, “no one who works full time should ever have to raise a family in poverty.” The President committed to raise the federal minimum wage to $10.10 per hour, and called upon private businesses to follow suit. But while the media is making much of the economic and political concerns caused by growing inequality, are corporations or governments changing their practices? News reports out of Davos say that the conference agenda didn’t do much to alter participants’ conversations outside of WEF14 meeting rooms. In the past 30 years, corporate and individual taxes, especially for high-income earners and large corporations, have decreased substantively in Canada. Combining federal and provincial rates, corporate taxes declined by half between 1970 and 2012 (from over 50% to 25%). In British Columbia, top income earners saw their taxes decrease from 82.4% in 1970 to 43% by 2010. Given the undeniable evidence, how do we make the dramatic changes needed to take control of wealth out of the hands of a tiny minority and back to the majority? Diana Daghofer is a PHABC Board Member and a public health consultant living in Rossland, British Columbia. The Social Determinants of Health (SDOH) discourse is getting more practical for improving the health of populations and reducing health inequalities. 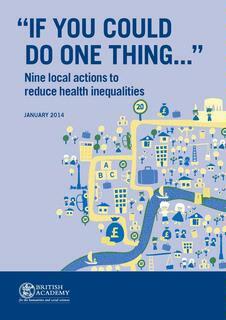 Following the WHO Commission on SDOH Report in 2008 (Closing the Gap in a Generation), which emphasized acting on SDOH, a recent significant report published by the British Academy for Humanities and Social Sciences titled – “If You Could Do One Thing …” Nine local actions to reduce health inequalities – identifies nine local actions that could be implemented at the local level to improve the community health and reduce health inequalities in the community. Written by prominent scholars from various social sciences, the report is a welcome and timely interdisciplinary document for guiding local actions to reduce health inequalities in the communities where people are born, live, work and age. The report provides evidential support to some of the initiatives suggested by our local public health advocates in British Columbia. 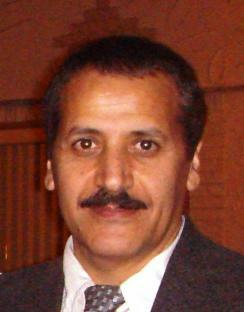 Jalil Safaei is a PHABC Board member and Associate Professor at the University of Northern British Columbia.